The Puffco Plus is one of the most innovative vape pens on the market. The pen itself requires no coil. It is branded as THE coil-less vape pen. The chamber has been engineered for optimal capacity and flavor by achieving even heat distribution, effortless cleaning, and improved durability. 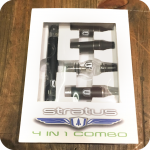 The mouthpiece houses a removable ceramic loading tool with a convection cap. This piece, otherwise known as the dart, minimizes splash back and efficiently retains oil. Furthermore, since the convection chamber is heated by ceramic material, every puff you take is guaranteed to be fabulous. 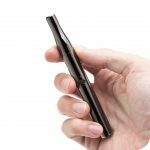 The chamber itself is larger than the standard sized vape, so you can maximize each smoke session by depositing a healthy amount of concentrate. Lastly, the Puffco Plus pen is known for its enhanced airflow. The sealed conduction chamber directs vapor upward through the dart convection cap. In other words, this innovative engineering prevents clogging and produces steady, clean, consistent vapor. It’s well-machined, sturdy, sleek and stylish. 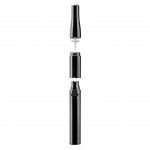 The ceramic dart insert also acts as an in-cap loading tool. The push button controller is a cloud, because why not? Click the cloud button four times to toggle between three temperature settings. Double-click the cloud button for 12-second continuous heating, called “sesh mode,” which is the best way to use the pen. Hurry now before these precious vape pens are off our shelves. 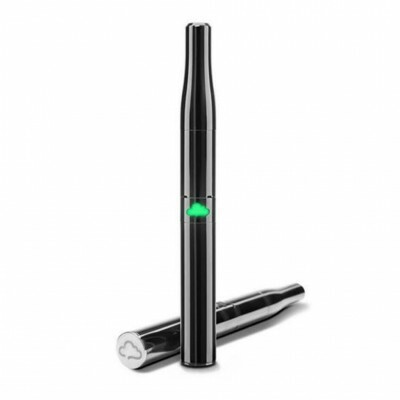 If this vape isn’t appealing to you, then check out our other selection of vaporizers. Tags: brooklyn smoke shop, bushwick, bushwick head shop, bushwick smoke shop, ceramic oven, coil-less vape pen, concentrate, concentrate vape, concentrate vaporizer, glass shop, new york city, nyc smoke shop, puffco, Puffco Plus, Sunflower Glass Company, vapes, vaporizer pen, williamsburg, williamsburg smoke shop.